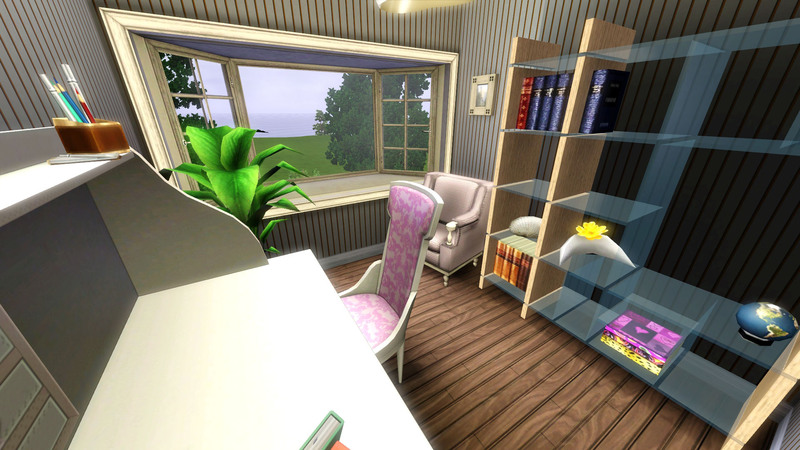 Looking for a quiet spot to get away from the world? 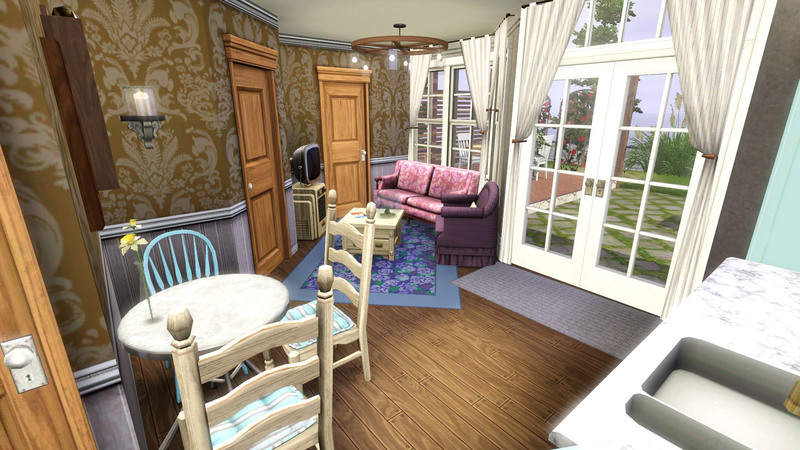 Chez Meline might just be the place for you! 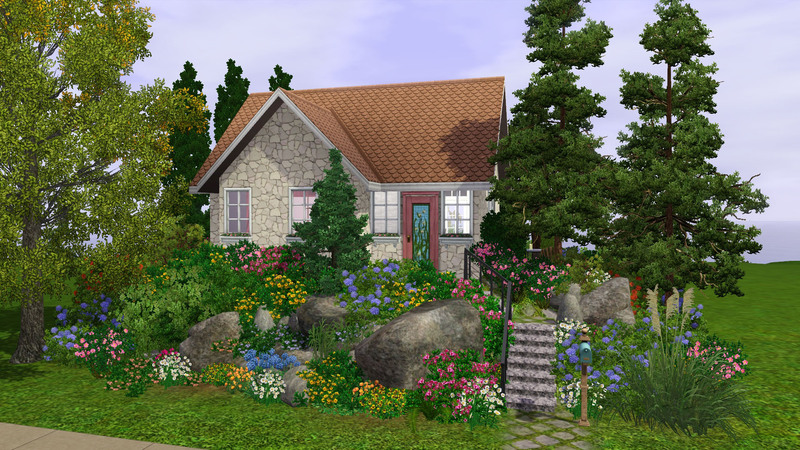 This charming garden cottage is set up and ready for a single sim or couple, and the office could be converted to a small second bedroom if desired. The landscaping is the star of this property. 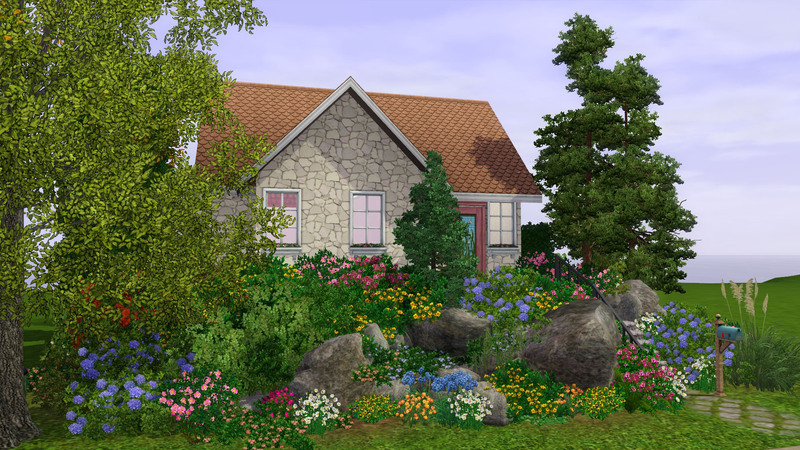 The previous owner lovingly cultivated a lush, informal garden, spilling over with roses, daisies, and greenery. 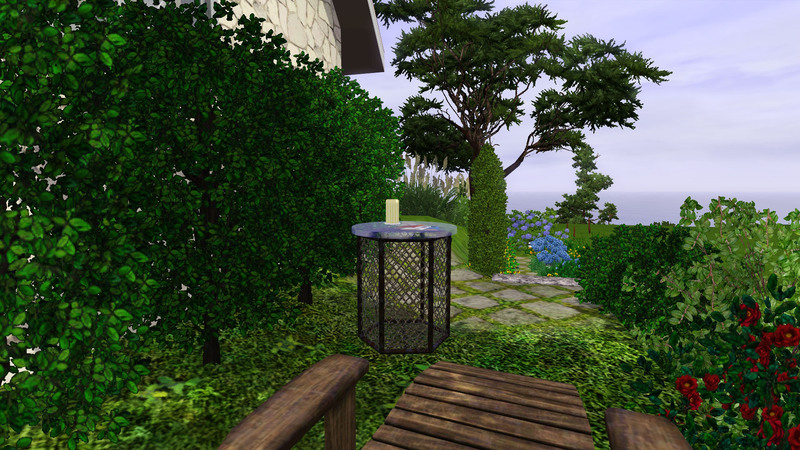 There are lots of private nooks tucked amongst the plants for some alone time, as well as a patio for entertaining. 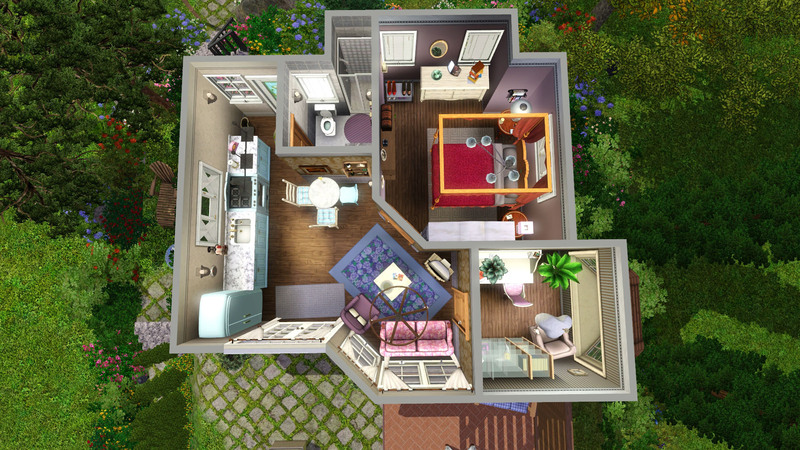 Also, though the house is built on a rise, the lot edges are completely flat, and will not distort any world terrain when placed on a flat lot. Seasons, Supernatural and Pets are required. 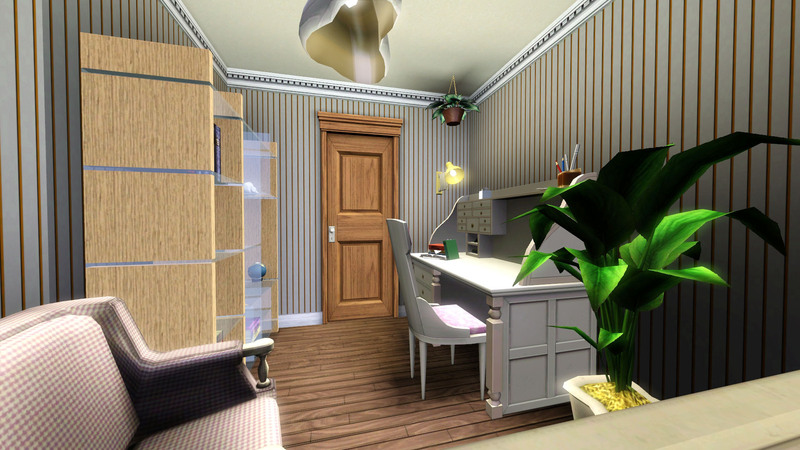 Generations is used for one or two small deco items, and is not required to retain the overall look of the lot. Just two items, both of which can be replaced without too much fuss! 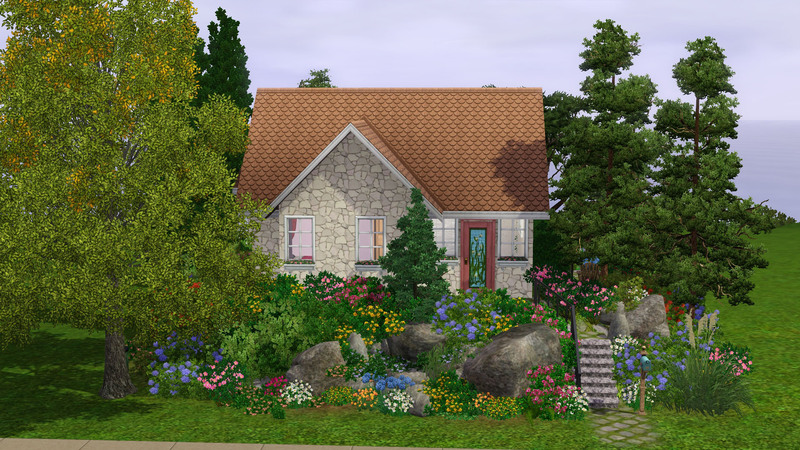 First is QBUILDERZ's wonderful Raise the Roof set, specifically the orange scalloped roof. 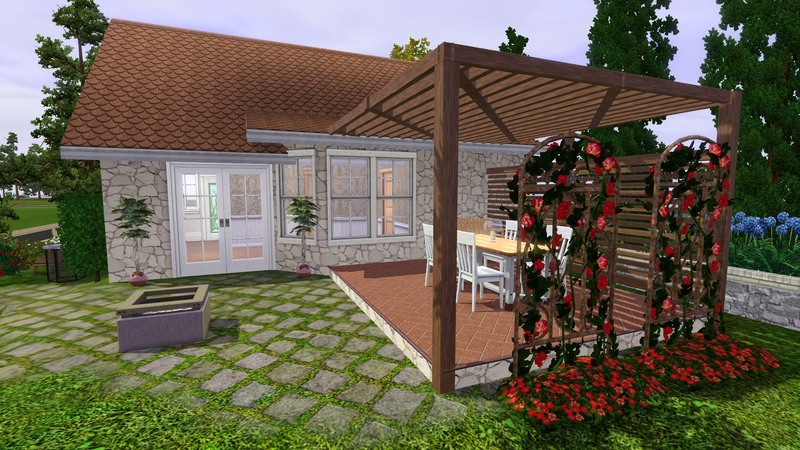 Second is armiel's Build Set DIY, which is used to construct the fencing and arbour which surround the patio. I think it's fairly obvious, but this lot uses a lot of plants. 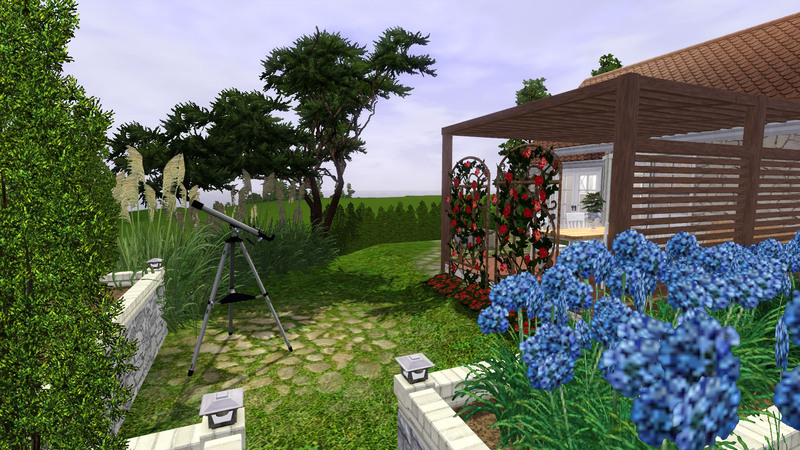 I have done my best to space things appropriately and not give into excesses, but there's still probably over 100 plants (not counting trees) on this lot. For this reason, take caution if you have a slow computer. I personally have no issue running this lot, but just wanted to give others appropriate warning so they can make an informed decision about whether to download. Also, there is very extensive MOO used in the landscaping, and the retaining wall by the stairs is built using CFE. Don't mess with them if you're not confident you can put them back. 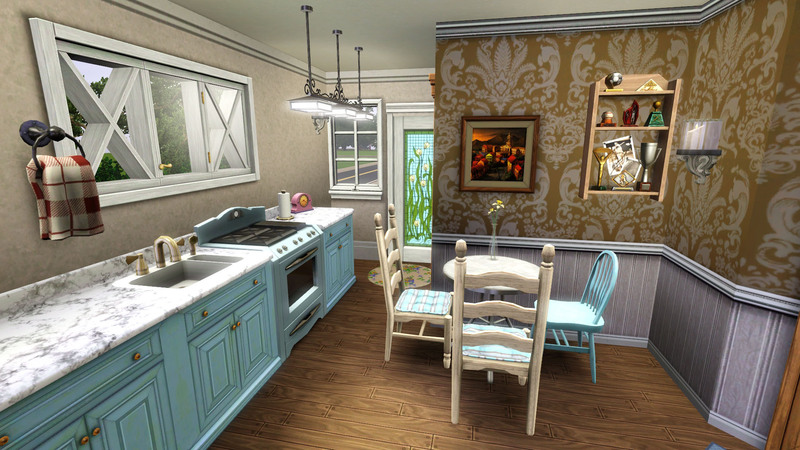 33 people have said thanks to PharaohHound for this download.